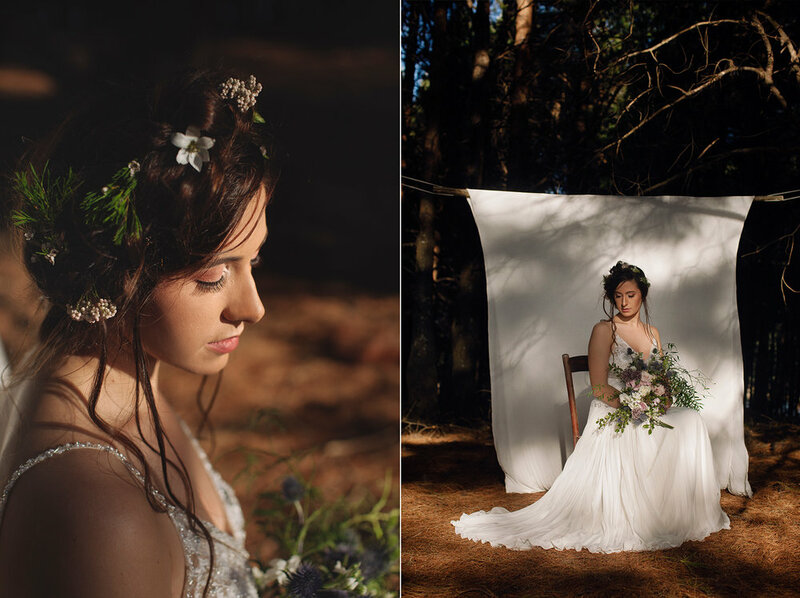 For quite some time I’ve wanted to photograph a whimsical styled bridal look, and last year November I had the absolute pleasure of doing this. 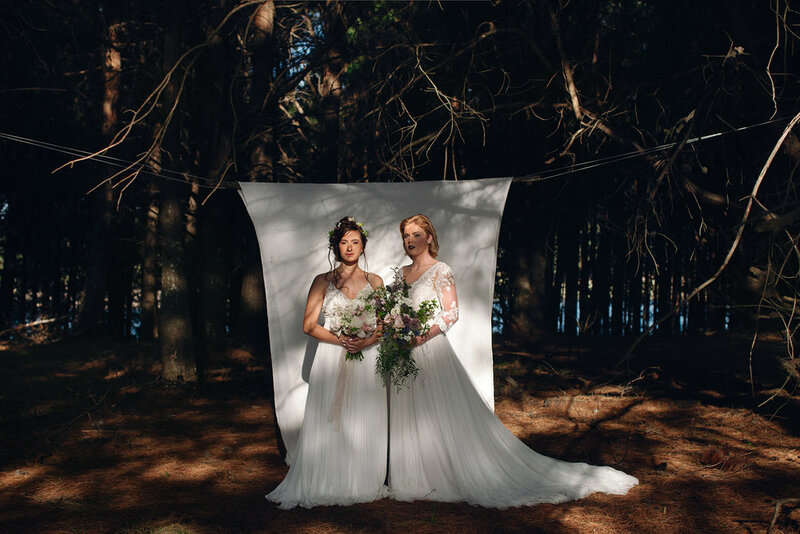 I worked alongside a group of incredibly talented East London vendors, and together we created a soft, ethereal bridal style set against the beautiful Stutterheim pine forest. The Modeca (Le Papillon) gowns, which were delicately detailed and had beautifully voluminous skirts, were supplied by Mandy from Lady Marmalaide East London. 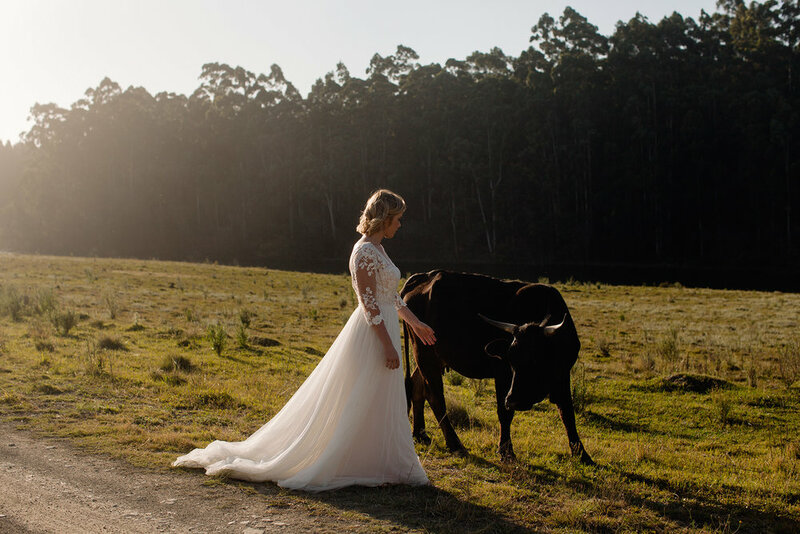 Mandy & Ashleigh run an incredibly professional and efficient business, sharing their knowledge of bridal wear and offering gowns for purchase and rental to brides to be. Lauren and Schyler (both East London based) modelled the gowns for the shoot. It was such a pleasure working with these two women - they were so relaxed in front of the camera, and fitted the bridal style really well. 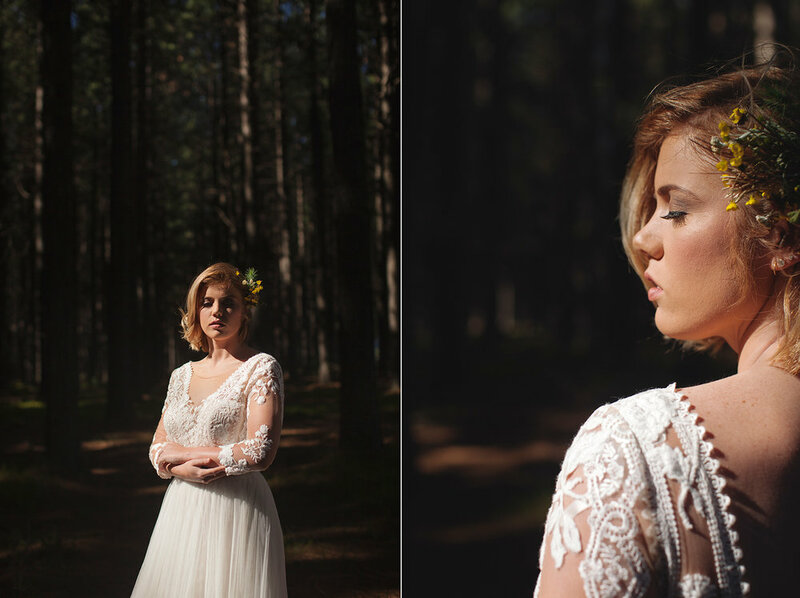 Anre Erasmus beautifully styled Lauren and Schyler’s hair for the shoot. 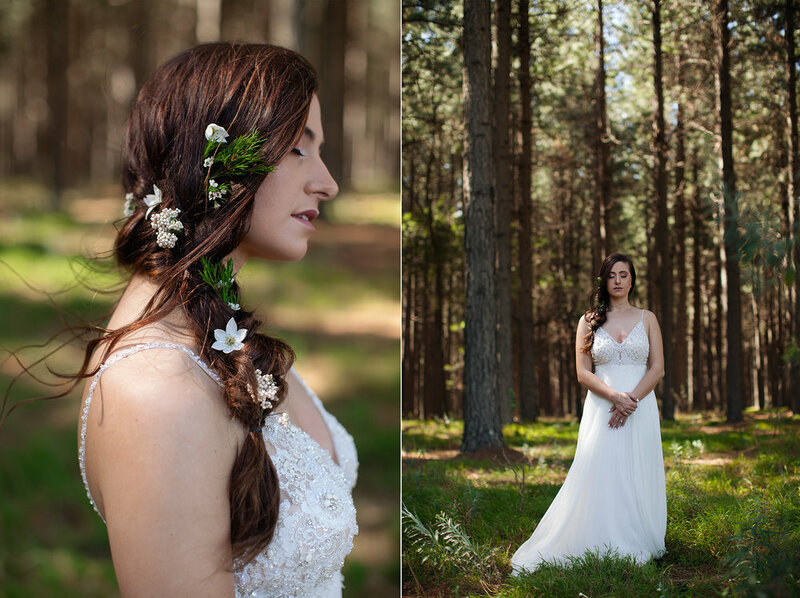 She created four different soft & delicate yet loose looks, using dainty flowers and collected plants from the forest, an up styled and loose plait, and a classic down style. Ruth, from Rosy Glow Makeup, created the blush, golden makeup looks for the four bridal styles. She kept the looks classic and simple, but used colour so effectively, and sculpted the makeup to suit the models so well! 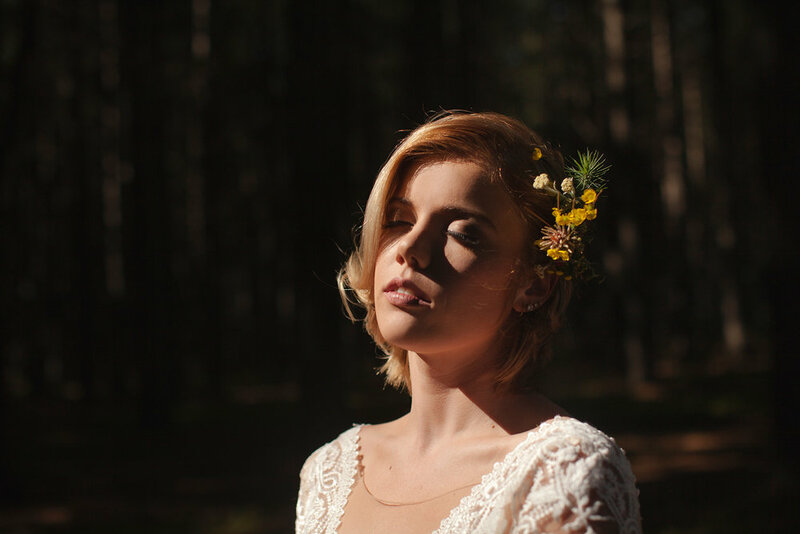 The incredible flowers were put together by Sarah May, and definitely completed the bridal look. 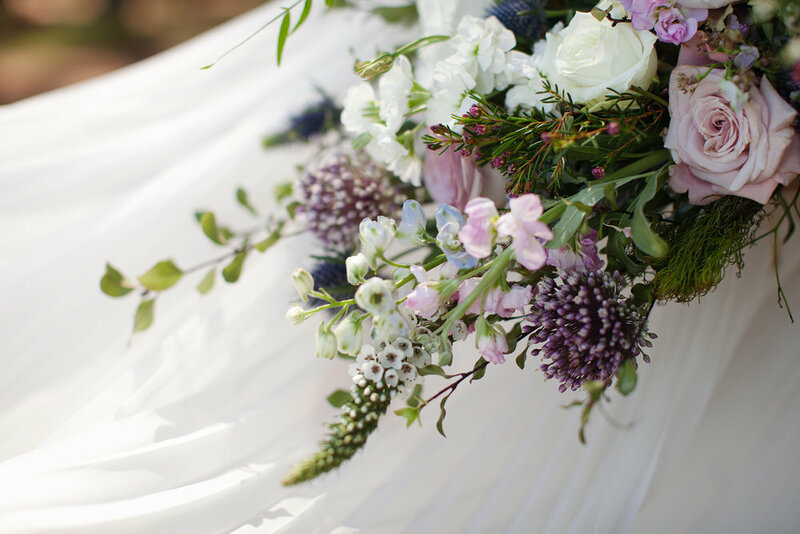 The first bouquet was whimsical, full of greenery, draped beautifully and has an assortment of delicate little flowers. The second bouquet had a more classic feel, and was filled with bigger white, cream flowers. Thank you to everyone who was involved in creating this bridal style, I really loved working with you all!